Golden Age Group has struck an agreement with powerful US investment platform Starwood Capital to develop an upmarket $600 million hotel and apartment complex on Melbourne’s Spring Street. The partners will also create their own hotel management company to operate the $200 million hotel, which is part of the Spring Street development. The deal is a major coup for Mr. Xu. With the new agreement, it is expected the partners will look beyond the Spring Street project for further opportunities to develop and manage on their platform. Starwood Capital is a major real estate player, with $55 billion in assets under management. It put together and then listed one of the world’s biggest hospitality companies, Starwood Hotels, and Resorts, which merged with Marriott Hotels this year. Along with the largest listed property trusts, the US investor, led by its co-founder Barry Sternlicht, has also created a series of opportunistic real estate funds, with its 10th vehicle closing two years ago with $5.6 billion committed. The tie-up with Mr. Xu’s Golden Age project on Spring Street is the first development in this country for Starwood, which has been in the market for a local partner. Starwood’s managing director in Asia, Kevin Colket, said the decision to work with Golden Age was due to a combination of market confidence and the reputation of the Golden Age Group. “We are excited by the opportunity to enter Melbourne’s growing tourism market alongside such a successful property developer and partner as Golden Age Group,” he said. Mr. Xu took over the L-shaped site at 85 Spring Street for $75 million from private developer Grocon in February this year. The Spring Street site had approval for 225 apartments after Grocon trimmed a 44-level proposal to 39 levels and reduced the number of units when it was initially refused a permit. Mr. Xu’s team have now reworked and relaunched the project as a 39-level tower with 138 premium apartments, alongside a 26-level hotel with 250 rooms fronting Little Collins Street. “We believe strongly in hotels as a well-performing asset class and in the continued strength of the tourism industry,” Mr. Xu said. The new hotel is near the Sheraton Melbourne Hotel, which Mr. Xu also developed on Little Collins Street and is thought to have attracted interest from Qatar Airways after it was put up for sale earlier this year. 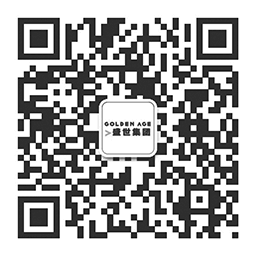 Golden Age is one of the busiest private developers in the market, with $4.2 billion in investments. 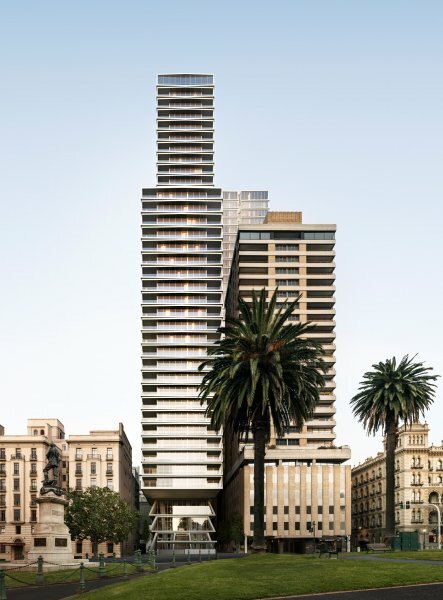 It recently launched a $325 million luxury residential mixed-use project at Sydney’s The Rocks and is building a super-slim residential skyscraper on Melbourne’s Collins Street, backed by the Deague family’s Asian Pacific Group.